Doddington Hall is, from the outside, an Elizabethan prodigy house or mansion complete with walled courtyards and a gabled gatehouse, inside it was largely renovated in the 1760's. Doddington Hall was built between 1593 and 1600 by Robert Smythson for Thomas Tailor, who was a lawyer, the Recorder to the Bishop of Lincoln. The facade is wide, but the house is only a single room deep at the centre. In the 12th century the manor of Doddington was owned by the Pigot family who sold it to Sir Thomas Burgh in 1450, and eventually to John Savile of Howley Hall in Leeds. In 1593, he sold the manor house to Thomas Tailor who commissioned the present house. It was inherited by his son, and then his granddaughter Elizabeth Anton, who married Sir Edward Hussey of Honington in Lincolnshire. Their son Sir Thomas Hussey inherited in 1658. Sir Thomas's three daughters were his co-heiresses when he died in 1706. Mrs Sarah Apreece was the surviving heiress and on her death in 1749, her daughter Rhoda, wife of Captain Francis Blake Delaval (the elder) of Seaton Delaval Hall in Northumberland, inherited. It then passed to her second son, Sir John Hussey-Delaval, and he had improvements made to the Hall in 1761 by Thomas and William Lumby of Lincoln. John's younger brother Edward Delaval inherited in 1808, and his daughter, Mrs Sarah Gunman, who inherited on her father's death in 1814, left the Hall to Lieutenant Colonel George Jarvis in 1829. On his death it passed to his cousin the Rev Robert Eden Cole, and it remains in private ownership today. In the mid 20th century the Hall was restored by Laurence Bond and Francis Johnston. The Hall's contents, including textiles, ceramics, porcelain, furniture and pictures, reflect 400 years of unbroken family occupation. 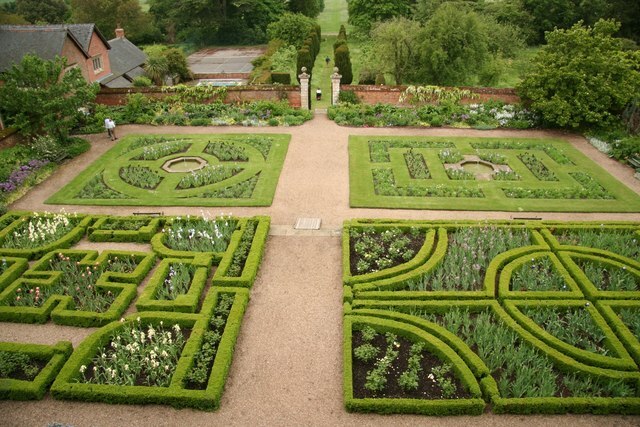 It is surrounded by 6 acres of walled and wild gardens with flowering from early spring until autumn. 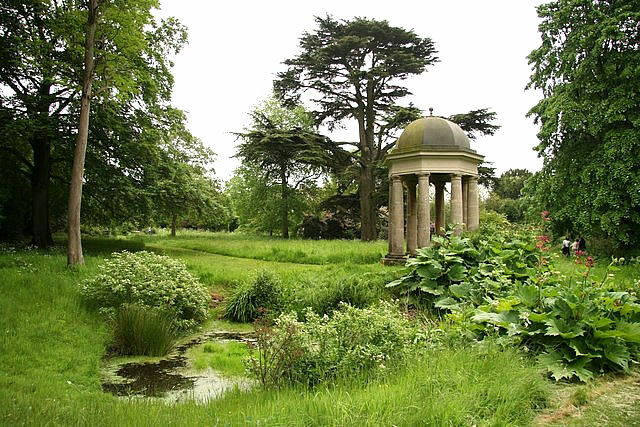 A temple designed by Anthony Jarvis in 1973 stands in the gardens. In 1762, Sir John Hussey Delaval covered every inch of the Holly Room – even the back of the doors – with tapestries showing country scenes. The tapestries were made in Flanders in the early 17th century. Daniel Codd in Haunted Lincolnshire claims that Doddington Hall is haunted by a girl who threw herself from the roof whilst being pursued by a lustful squire: each autumn her ghost screams in terror as it falls from the roof. The upper floors are inaccessible to wheelchair users. There is a panoramic virtual tour of the upper-floors available on the ground floor. With both sound and text this provides a successful alternative view for those who cannot easily access the upper floors. Electric scooters/wheelchairs cannot be used in the Hall however they do provide ramps to enable manual wheelchair access. They have disabled toilet facilities in the Hall, the Gardens, the Coach House and the Farm Shop. Most of the 5 acre gardens can be explored by wheelchair along a mixture of grass and gravel paths, access maps are available.They have created sensory tours of both the Hall and the Gardens with accompanying tactile drawings and plans. As the tours are designed to be experienced with a sighted companion they can provide a volunteer to accompany visually impaired visitors, bookable in advance. Assistance dogs are welcome in the Hall, Gardens, Farm Shop, Café and Restaurant. Carers have free admission. Transport: Lincoln Central (National Rail) then taxi. Bus Routes : No bus service. Tickets Whole Property: Adults £10.50; Children £4.75. Tickets Grounds Only: Adults £6.50; Children £3.50.